Recently, 250t/h crushing and screening production line project was officially delivered to South Asia. The production line is a crushing and screening production line based on all steel frame which is contracted by YIFAN. 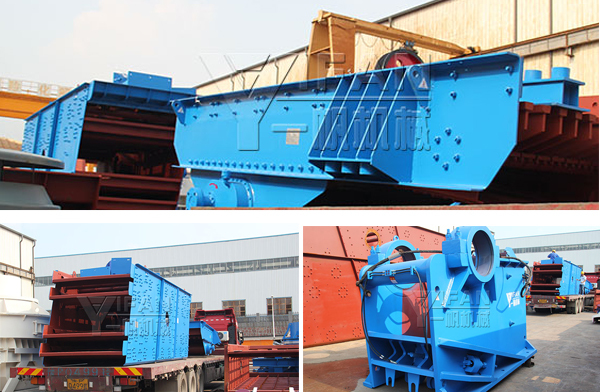 It consists of ZSW4913 vibrating feeder, PE800X1060 jaw crusher, hydraulic cone crusher and 4YK1860 vibrating screen and so on. The designed capacity is 250 tons per hour. 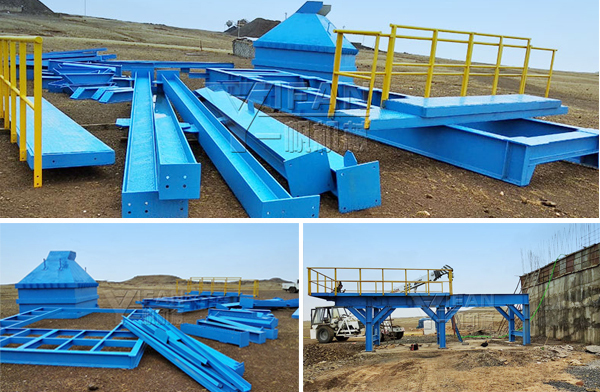 As one of the leading manufacturers of crushing and screening equipment in China, Zhengzhou YIFAN provides customers with strong technical support. In this production line, all steel structural parts, belt conveyors and outriggers are processed on site according to the drawings given by YIFAN. The main equipments were produced by YIFAN and then transported to the production site. Recently, it has been produced and is being sent to Shanghai Port . Thanks to the customer's trust, we are committed to providing customers with quality products and high-quality services. We hope that the production line will bring satisfactory effects to customers. YIFAN hopes to establish a good partnership with customers. If you have any questions about crushing and screening equipment, you are welcome to consult.